Earn a high school diploma. Launch a career. Become a leader. We have had many students serve as ambassadors to the community for PYB, but none as eloquent as Keambrea. A natural leader, while in PYB she completed over 600 hours of impact within the local community—lighting a fire to serve amongst her peers. Her inner spark is evident to all those surrounding her, and her bright example assisted many of her peers. Keambrea is able to listen, motivate and inspire everyone around her—she is steadfast in her dedication to her goals and pushes those around her to stay on task and get things done…#WeWill is a mantra that Keambrea carried with pride. As the mother of five children, Keambrea does an excellent job of balancing school, yes she is enrolled at Santa Fe College, with work and family. School was never easy for Alex, English is his second language, and translated concepts were difficult to grasp. However, through his dogged determination he attended PYB every day and graduated—with both his High School Diploma and Seagle Educational Award. With his scholarship, Alex attended and graduated from the Santa Fe College Plumbing program, while maintaining full-time employment. Alex’s dedication and contagious enthusiasm helped him make bold changes in not only his life, but in the life of his young daughter. Marcus joined PYB in June of 2016. As a 23-year-old, he was one of the oldest young men in his cohort; his maturity elevated him to a class leader quickly. With an extensive criminal record, Marcus applied at a pivotal time in his life, he was about to become a father. When he arrived at PYB, Marcus had less than 6 credits. 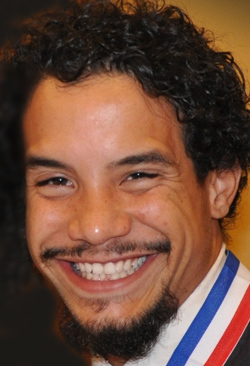 Through his dedication in the classroom and on site renovating affordable housing he was able to earn his high school diploma, multiple construction credentials and a Seagle Award and Scholarship. We weren’t the only people who took note of Marcus’ hard work, wonderful attitude and potential. After graduation the Alachua County Housing Authority, one of PYB’s key partners, hired Marcus for a full-time maintenance position with benefits. After a bumpy start, Marcus was awarded the Most Improved Employee award at their annual banquet. Marcus continues to work for the housing authority and is providing a bright future for his son. Marcus has also strived to provide a bright future for his younger brothers. In 2017, Marcus’ brother Tevin followed in his brother’s footsteps and joined PYB. With mentoring and encouragement from Marcus, Tevin was able to graduate with honors. Most recently in 2018, Marcus and Tevin’s youngest brother Cubby joined the PYB family. Both Tevin and Marcus are pushing Cubby to graduate and join them as esteemed alumni. The three brothers each add to the unique perspective we have about family at PYB. 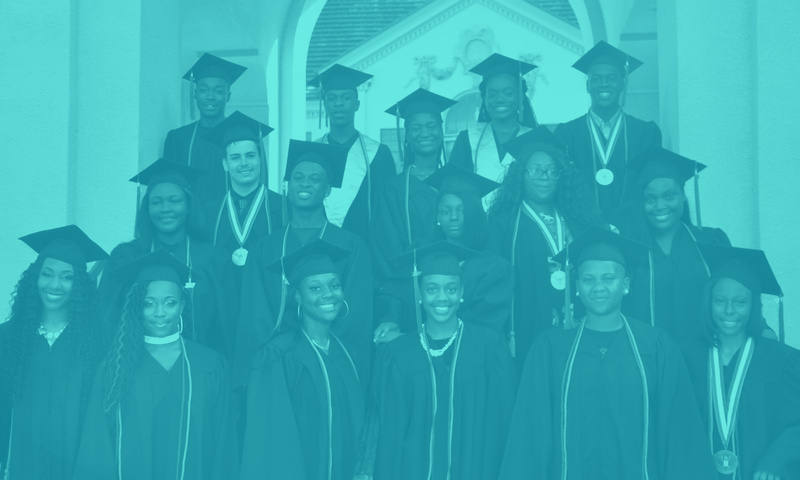 Once in YouthBuild, always in YouthBuild…Our students are like family, their success, feels like our success. There were times Dorkeria felt like giving up; it just seemed like things weren’t going her way. In fact, due to an extremely challenging set of circumstances, she stopped attending PYB for several weeks. With some encouragement from staff and peers she returned to PYB more committed than ever to meet her goals. 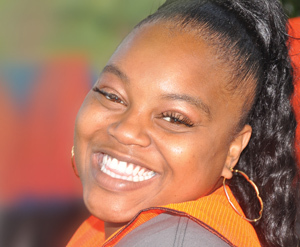 Dorkeria was determined to graduate and make a brighter future for herself and her family. Through grit, laser focus, and placing extraordinary effort into every day Dorkeria not only graduated from PYB, but graduated with honors. 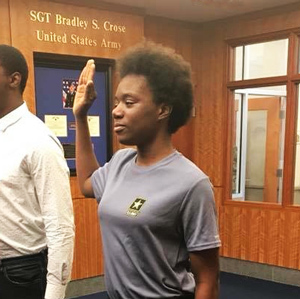 After graduating, she stepped up to her next challenge and enlisted in the U.S. Army. Dorkeria completed boot camp in South Carolina and is now stationed at Ft. Hood working with a logistics unit. Dorkeria never gave up and has continued her service, just with a broader reach, she is now proudly serving our country.